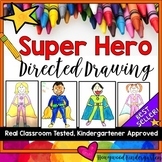 Presented in both Spanish and English, this activity asks students to look at five faces and follow directions about drawing and coloring hair color, items of clothing, and other details. Students have to listen very carefully to follow directions in order to draw a picture. Eventually it will challenge students more when they give directions to other students. 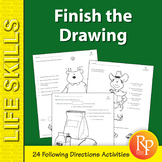 Good for oral language development especially for the bilingual student! Summer Fun ~ Following Directions! 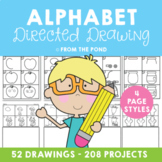 This product has 14 pages of direct to draw pictures along with a writing component. I use these in my writing center or for substitutes! Students follow directions to draw the picture and then they can write an informative, narrative, or opinion piece using their picture! you choose or they choose! 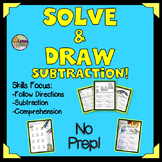 Have students practice using a protractor by following directions to draw a picture that incorporates different angle measurements.Great for hanging up around the room! 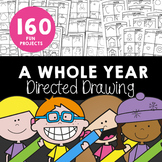 Also included in: Directed Drawing Bundle! 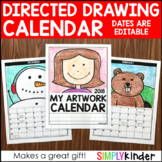 Art for every season!